A new Arduino binary clock has been created by the La Fabrique DIY team, which has been inspired by the architecture within Paris and is powered by an Arduino Uno development board together with a number of LEDs. The outer casing of the binary clock has been modelled after buildings seen along the Seine River in Paris and the device has been aptly named the City Clock. Watch the video below to learn more about how the Arduino binary clock was created and also how to tell the time simply by looking at which windows have been illuminated. Displaying the time in a binary sequence. 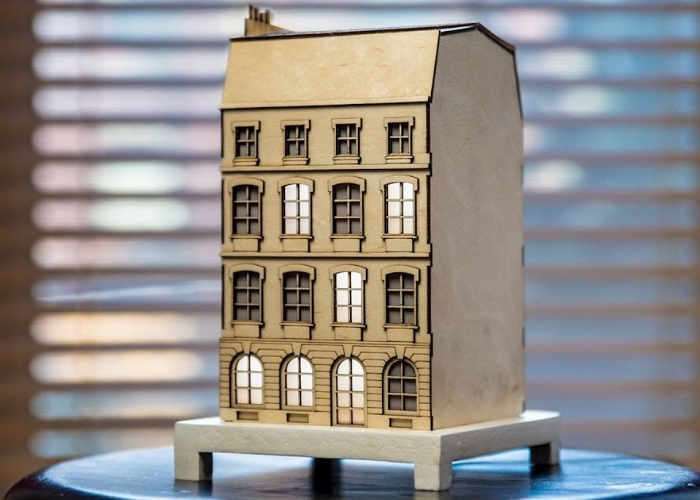 If you fancy your very own Paris architecture inspired Arduino binary clock a number of different kits are available and include all the electronics, out of framework and full instructions you need to create your very own.